Almost half of the people who have moved house in our recent global survey said that making a good first impression is important when it comes to their new home’s appearance. 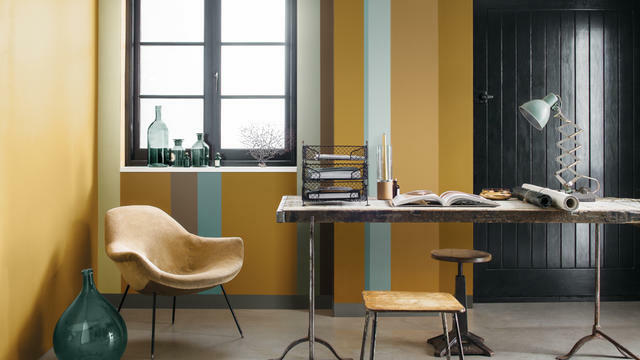 Choosing a vibrant Dulux colour is a great way to stamp your personality on your home, but why not go one step further and create a truly personal look that has real wow-factor? We asked interior designer, Gabriel Holland, for some inspiring colour effects to transform your home from ordinary into something truly extraordinary, just using paint. 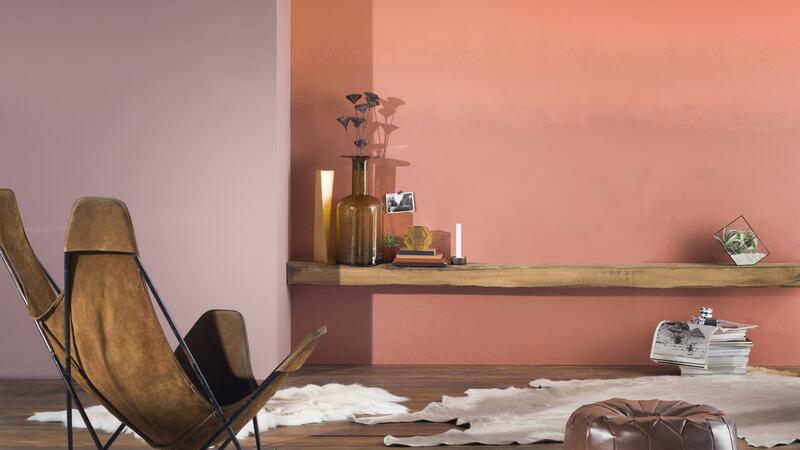 Ombre creates an ethereal look that works really well as a feature wall – perfect if you want to introduce several colours into your home decor without appearing too fussy. Consider how wide you want the lines to be and step outside your comfort zone by opting for bright Dulux colours, such as vibrant oranges and purples. Set them against a neutral background and they’ll really stand out. If you’re feeling really playful, graphic diamonds or colourful spots are great for adding a designer-style feel to your home decor. Top tip Alternating flat and glossy painted stripes is an elegant way to introduce more depth into your space.